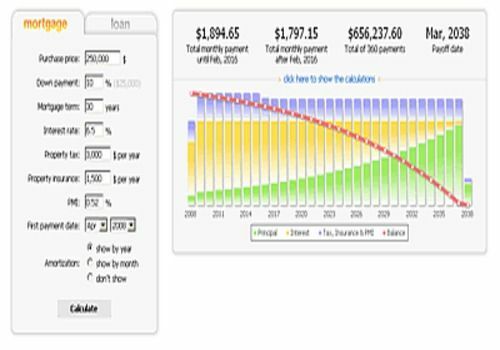 MLCalc.com offers powerful calculators to let consumers know what their loans will cost them before they sign on the dotted line. Featuring property tax, insurance, and PMI, MLCalc's mortgage/loan calculators deliver the bottom line on several types of loans and display attractive, easy-to-understand amortization schedules. Using this simple copy-and-paste widget, webmasters can offer MLCalc's features to their site's visitors.